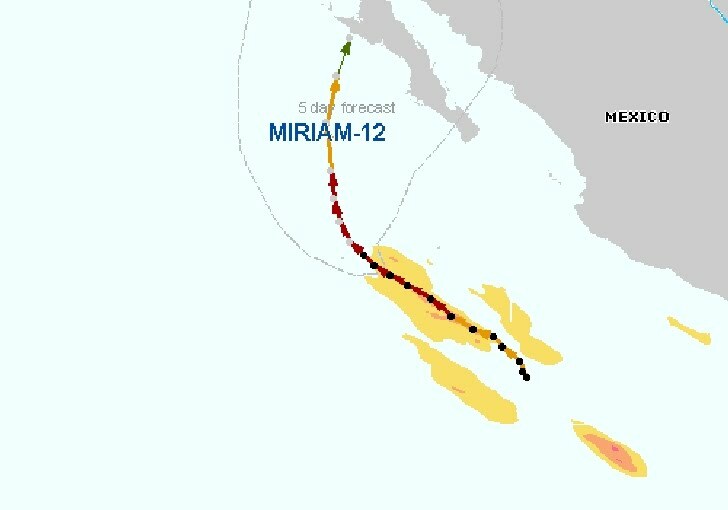 At 20:00hr PDT the center of Hurricane Miriam was located near latitude 18.5 north/longitude 113.9 west, about 640km (400mi) SW of the southern tip of Baja California. 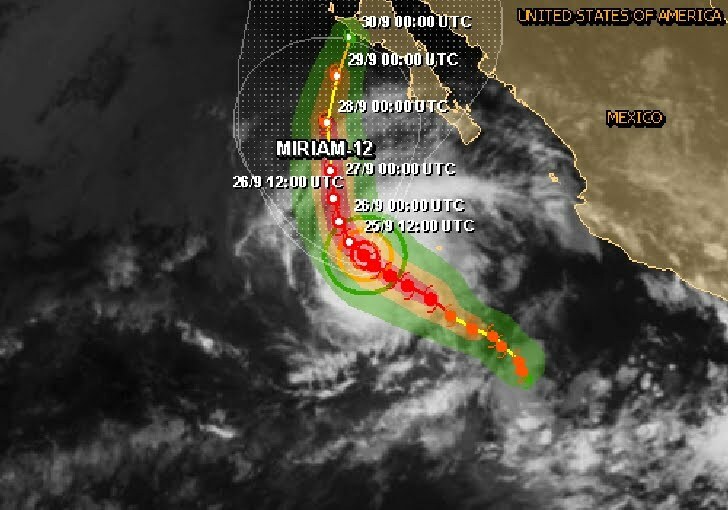 Miriam is moving toward the northwest near 13 km/h - 8mph. A gradual turn to the north with a decrease in forward speed is expected during the next couple of days. Maximum sustained winds have decreased to near 165 km/h - 105mph with higher gusts. Miriam is a category two hurricane on the Saffir-Simpson hurricane wind scale. Slow weakening is expected during the next 48 hours. Hurricane force winds extend outward up to 55 km - 35miles from the center and tropical storm force winds extend outward up to 205 km - 125miles. An automated observing site on Clarion Island recently reported a sustained wind of 78 km/h - 48mph and a gust of 107 km/h - 67mph. 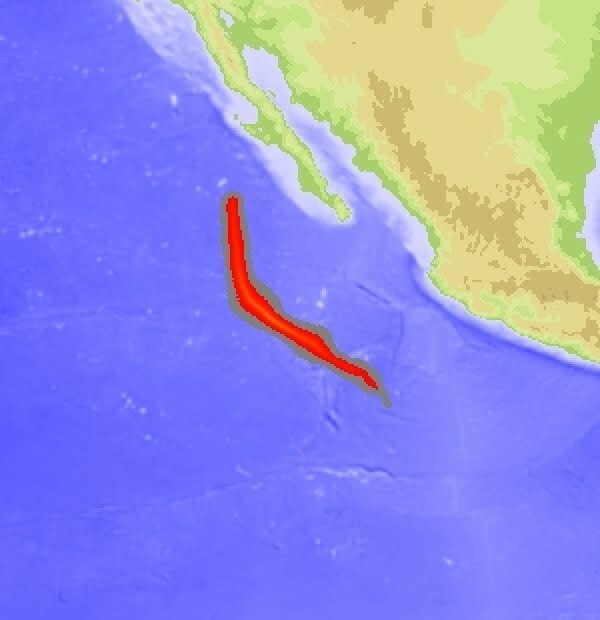 Swells generated by Miriam will affect the south and west coasts of the southern Baja Peninsula during the next couple of days.These swells are likely to cause life-threatening surf and rip current conditions.